MERRY CHRISTMAS!! Okay, I’m a day late… I totally forgot to post this and then got busy with the Christmas day. I hope you all had a wonderful day celebrating with family, friends, and loved ones! 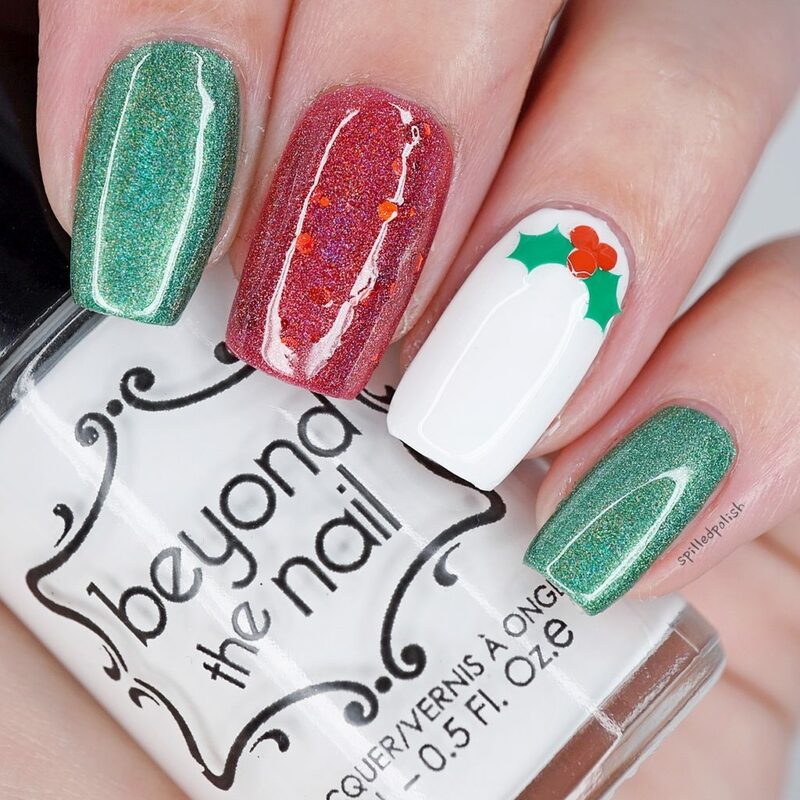 For these Simple Christmas Holly Nails, I used two thin coats of Beyond the Nail – Evergreen on my pinky and index fingers. For my middle finger, I used two coats of Beyond the Nail – Rudolph. 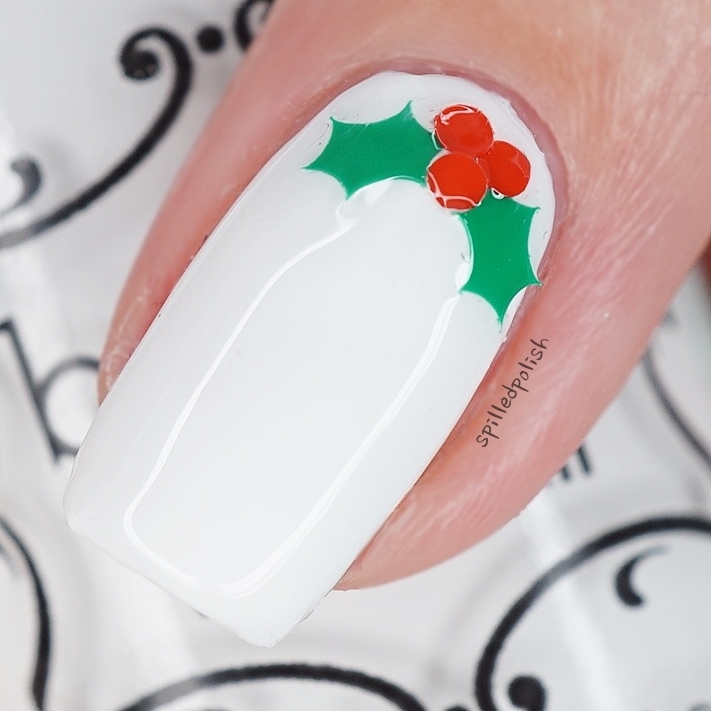 On my ring finger, I used two coats of Beyond the Nail – Bright White, and when it was dry, I placed on some Holly Nail Decals. I finished these off with one coat of Beyond – Base and Top Coat. 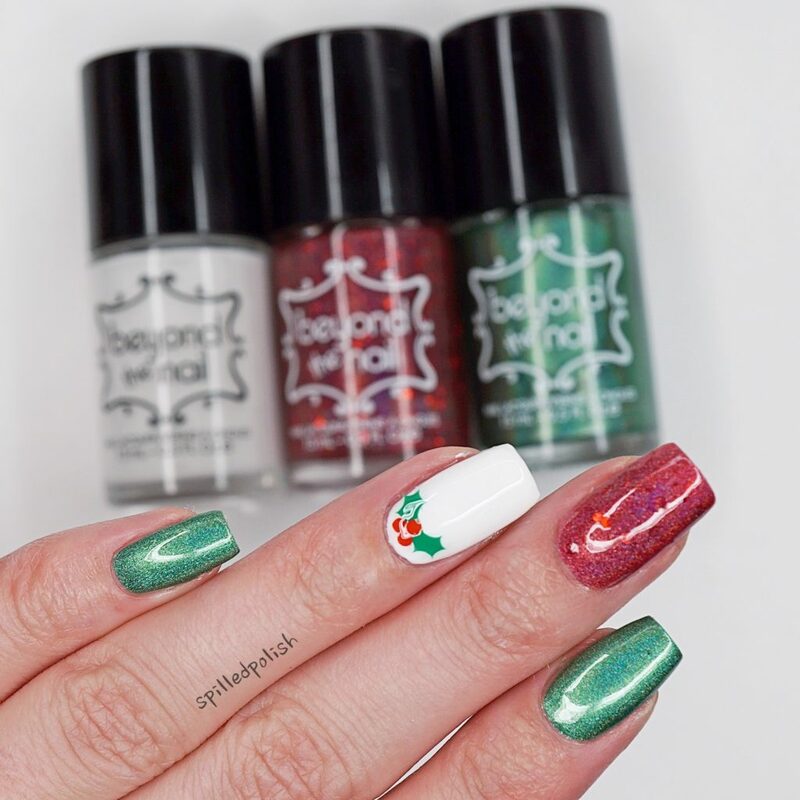 What do you think of these Simple Christmas Holly Nails?